Ben Carson is a name most notable for the first ever successful separation of conjoined twins. It’s also a household name, thanks to his books which include Gifted Hands and Think Big. His exemplary work in the medical field has awarded him more than 60 honorary doctorate degrees and several national merit citations. Most notable is his 2008 Presidential Medal of Freedom award, the highest a civilian can receive in the US. He has written over a hundred neurosurgical publications during his lifetime and was once a presidential candidate in the 2016 presidential race before pitching his tent with Donald Trump. The gifted neurosurgeon was born on the 18th of September, 1951 in Detroit, Michigan. Prior to this, his parents (Robert Carson Jr. and Sonya Carson) lived in Chattanooga, Tennessee. They later moved to Detroit where both Ben and his elder brother Curtis were born. Ben’s public school education began in 1956 at the Fisher School in Detroit. He continued schooling well into first, second and half of the third grade, maintaining average grades throughout. When he was five years old, his mother discovered that his father had a prior family and was not divorced with his first wife. At the age of eight, in 1959, his parents separated. His mother moved him and his brother to her older sister’s home in the Dorchester and Roxbury neighbourhoods of Boston. There, he attended a two-classroom school alongside his brother at the Berea Seventh-day Adventist church. In 1961, the family moved back to Detroit, living in Springwells Village; a predominantly white neighbourhood. While they lived there, their Deacon Street home was rented out. Returning back to public school in Detroit was tough for Ben Carson and his brother, as they both lagged behind the other students because they didn’t learn much when they were in Boston. As a result of him not taking school seriously, his mother took on a much strict routine for her sons, reducing the amount of time they had to watch television and increasing their study time. She also doubled up on her working hours so she could keep providing for her boys. Under his mother’s supervision, Ben Carson got a different view of education and began taking his studies seriously. He went from being at the bottom in grades to the top of the class. He graduated with honours from Southwestern High School. He got admitted into Yale University and got his BA in Psychology in 1973. In the same year, he got into medical school at the University of Michigan where he got his profound interest in neurosurgery and got his specialization in the field. He received a Doctor of Medicine degree from the university in 1977 and got elected to the Alpha Omega Alpha Honor Medical Society. See Also: Who is Paul Ryan? His Wife, Family, Height, Net Worth, Has He Retired? Ben Carson served as a surgical intern for a year at the John Hopkins University School of Medicine. He went on to serve as neurosurgery resident for five years, finishing the last year as chief resident in 1983. He also took the position of senior registrar in neurosurgery at the Sir Charles Gairdner Hospital. Ben Carson is most famous for completing the first and only successful separation of conjoined twins, attached together at the back of the head. He also completed the first ever successful separation of type-2 vertical craniopagus twins and has developed new ways to treat brain-stem tumors. 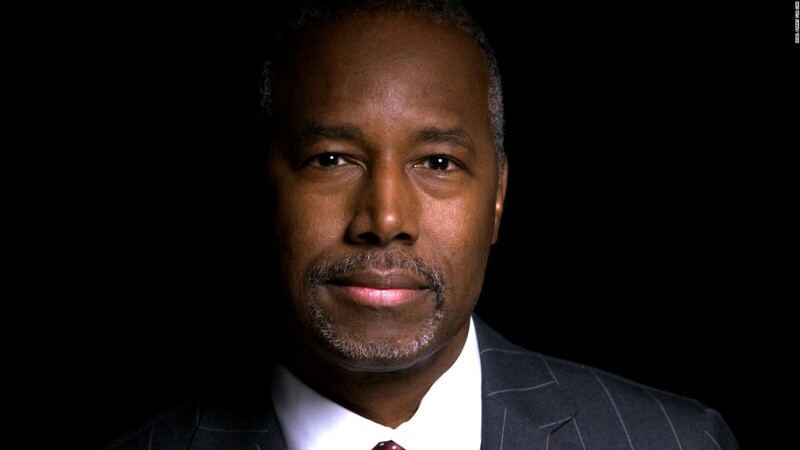 At 33, Ben Carson became the youngest chief of pediatric neurosurgery in the US. On the 1st of July 2013, he officially retired as a surgeon, stating that it was better to quit at the top of his game. He moved to politics, and in 2015, he announced he would be running in the 2016 presidential race. However, his poll ratings didn’t stay high, and on the 2nd of March 2016, he announced that he would withdraw from the race. He did endorse Donald Trump’s campaign and called the man the voice that needed to be heard. After Trump won the presidency, Ben Carson became the vice chairman of the transition team. He declined a cabinet position because of his lack of experience, but later accepted the position of Secretary of Housing and Urban Development. 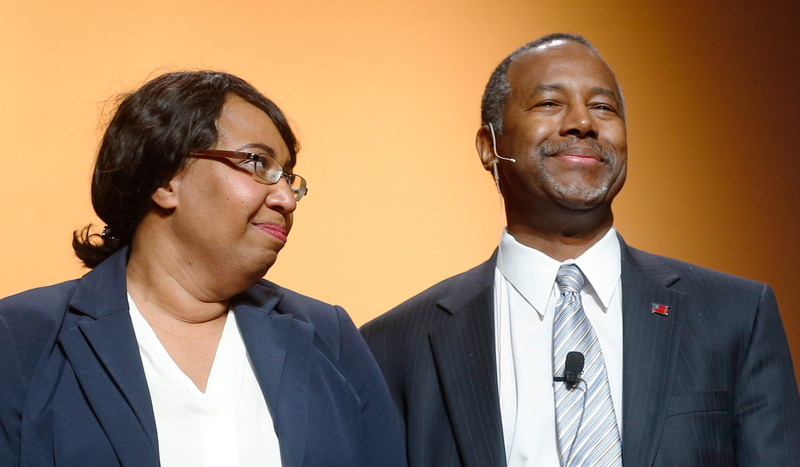 Ben Carson’s parents are World War II veteran Robert Solomon Carson Jr. and Sonya Carson (née Copeland). His mother got married to his father when she was 13 and he was 28. Each of his parents came from large families. They met in rural Tennessee, where they eventually got married. After his military service was over, his mother and father moved to Detroit. There, at the age of 20, she gave birth to Ben Carson’s older brother Curtis. Robert Carson was a Baptist minister before he became a Cadillac plant labourer. His mother started out as a housewife but began taking domestic work here and there when she got separated from her husband after finding out he had another family. She moved in with her older sister in a multi-family dwelling in Boston where she suffered depression and attempted suicide. When they moved back to Detroit, she was responsible for Ben Carson and his brother Curtis becoming more focused with their studies, making them write two book reports every week on books borrowed from the library. Ben Carson met Lacena Candy Rustin in 1971 when they were students at Yale University. They dated for some time before getting married in 1975, living together in Maryland. Alongside his mother, the couple moved to West Palm Beach, Florida in 2013. In 1981, Candy became pregnant with twins but lost the pregnancy due to a miscarriage. The marriage has been blessed with three sons; Rhoeyce, Benjamin Jr., and Murray. Carson and his wife are also grandparents. With his illustrious years as a successful neurosurgeon and a professor of oncology, plastic surgery, and paediatrics at the John Hopkins University, Ben Carson has been able to amass a net worth estimated at $30 million. Though he is retired, he still maintains his financial status through many endeavours. Ben Carson is quite a gifted man, both in career attainments and physical attributes. He stands at a height of 6 ft or 183 cm and has a weight listed as 174.2 lbs. or 79 kg. This concludes that he keeps a fit body. He has black hair and dark brown eyes.